March 10 1945, Iwo Jima. 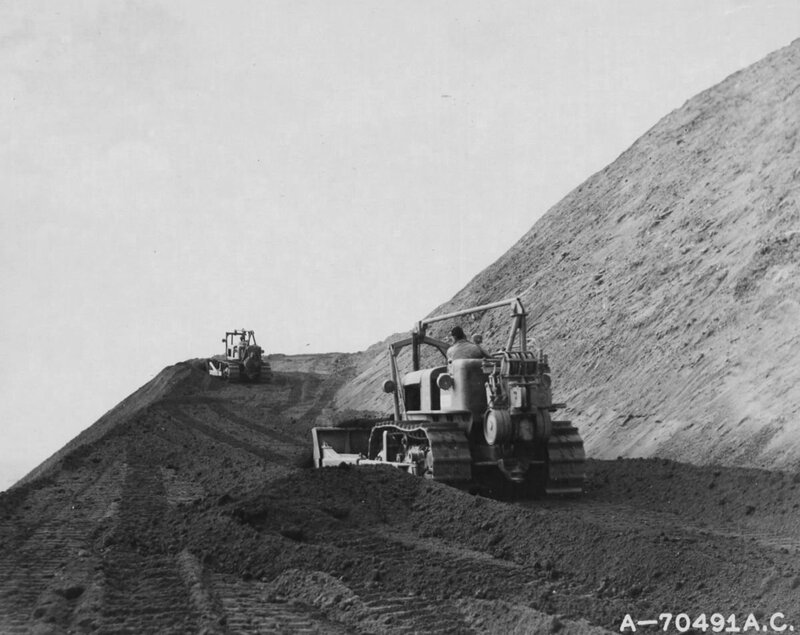 Bulldozers of the U.S. Marines 32nd Construction Battalion (Sea Bees) paving a road to the summit of Mount Suribachi. U.S.M.C.